In a major initiative that has been in the works for two years, Salesforce is integrating artificial intelligence into all of its CRM cloud platforms. It enables any business to use clicks or code to build AI-powered apps that get smarter with every interaction. Their AI system learns from all of the data you enter about your customers and prospects (CRM data, email, calendar, social, ERP, and IoT), and makes predictions and recommendations on actions you should consider. It can even automate tasks it certain situations. Salesforce Einstein is designed to help their customers take advantage of the huge amounts of data produced by making sense of it and seeing trends before humans typically do. What Salesforce has done is to make the use of artificial intelligence possible for all businesses, without have to employ their own data science teams. Milburn says that with Service Cloud Einstein, organizations of all sizes will be able to resolve customer service cases faster by utilizing history and trend data, automate routine inquiries and predict case resolution times. AI in marketing is about combining historical and real-time data in order to see trends, predict what’s likely to happen and offer contextual suggestions on what to do next. “We are giving marketers the ability to shift away from using analytics that only look at past behavior to analytics that predict the optimal timing, channel, content and audience for any marketing message,” says Bob Stutz, CEO of the Salesforce Marketing Cloud and their Chief Analytics Officer. Einstein integration within their marketing cloud enables companies to take advantage of Predictive Scoring which puts a percentage on the likelihood of a customer taking a certain action such as making a purchase, or unsubscribing from an email blast. With the Predictive Audiences feature marketers can group predictive actions based on their scores in order to more effectively modify marketing strategies. Finally, Automated Send-time Optimization predicts the best time to send new marketing messages. Stutz says that Marketing Cloud Einstein has been in beta for about a year with “tremendous” results. He says that ecommerce and coupons company ShopAtHome redefined customer engagement around predictive scores and experienced a 23% increase in email clicks, and a 30% increase in email opens. 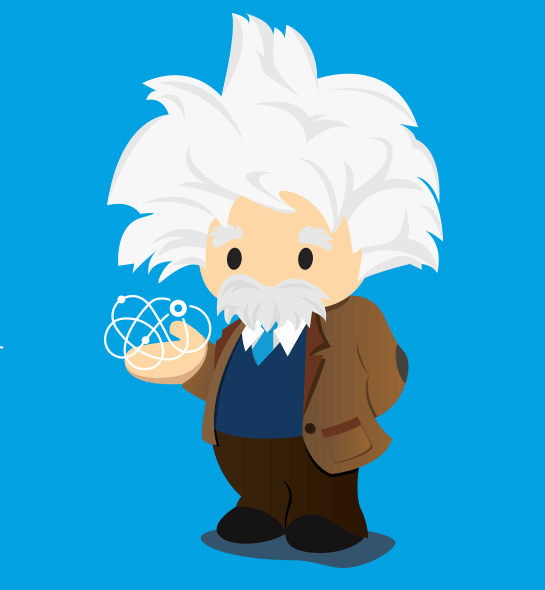 Salesforce has also added Einstein AI to their Community Cloud, IoT Cloud and App Cloud. “With IoT Cloud Einstein, our customers will be able to unlock a whole new wave of innovation for the Internet of Things by pairing their IoT data with services powered by Salesforce’s new artificial intelligence platform,” notes Woodson Martin, the head of Thunder & IOT Cloud at Salesforce.